Dr. Adriane Stanley was born and raised in Hattiesburg, Mississippi. She graduated from the University of Southern MS with a B.S. in Biological Sciences and from the University of MS Medical Center in 2007 with A Doctor of Dental Medicine (D.M.D.) degree. She Completed a one year General Practice Residency at the University Of MS Medical Center in order to gain a greater knowledge of hospital dentistry, complex dental procedures, and the treatment of the medically compromised and persons with handicaps. 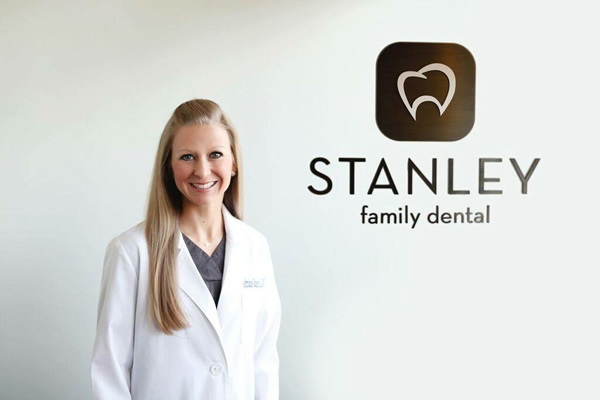 Dr. Stanley has hospital privileges at Woman's Hospital in Flowood, MS.
Dr. Adriane Stanley is married to Scott Stanley and has three children: Dawson, Anna Jane and Elin. Dr. Stanley attends Crossgates Baptist Church. Her hobbies include watching her children participate in sports, traveling, exercising, running, diy projects at home and anything pertaining to Disney World!